On exceptionally rare occasions, you find that everything comes together at once, to create the perfect scenario. In footballing terms, that might be the crucial game that defines a clubs history, or it may be that a big event runs so smoothly that only positivity exudes from those that are either involved in, or experience it. When you aren’t involved with a club and consequently have little or no emotional attachment to the team or the game, it is that little bit more difficult for the perfect scenario to come together. Not always a bad thing because I’m in the fortunate position whereby I don’t let the football ruin the football, and much of that is due to the fact for me it’s about a love of the game, not a specific team. The down side though is those moments of perfection are very rare indeed, principally due to the lack of emotion. Maybe once I season I’ll come away and think ‘wow’, but to put this into some sort of context, a couple of years ago I did a piece on the 20 most memorable games I’d ever been to, and a large chunk of those involved teams I’d had an attachment to. Last season, the Borussia Dortmund 8 Legia Warsaw 4 game would fall into the category for obvious reasons, while the Manchester City 3 Barcelona 1 game was also a bit special, but these were Champions League games with World class players and iconic venues involved. I guess you would almost expect it? 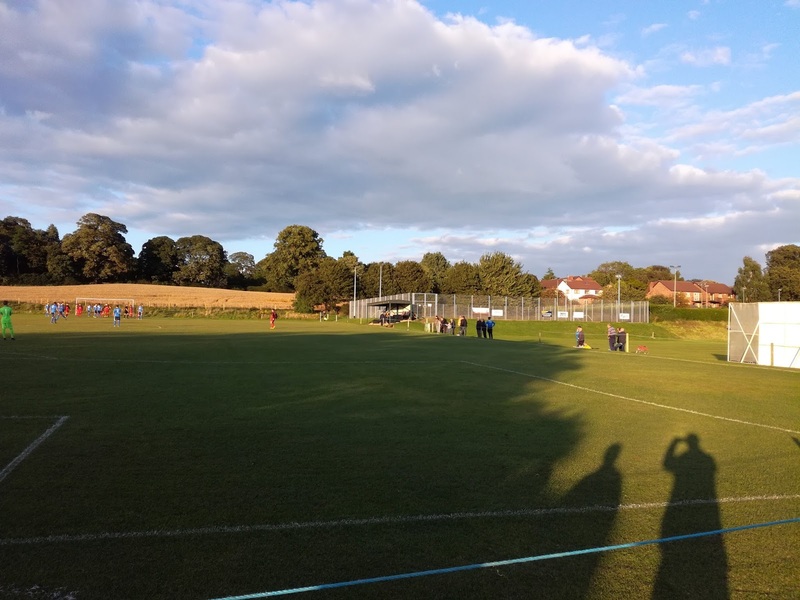 I came away from Malpas on Wednesday evening and even at this early stage of proceedings, I had the view that my experience would probably not be beaten this season, it was that good. Three things are required in my view for the perfect scenario. The first is the ground and its location, the second is the people involved, and the third is the game itself. Lets start with the ground at the Oxhays. Malpas is an English border town just North of Whitchurch, it’s a very small town, and you might argue it’s actually a large village. It’s also a wealthy town, the houses are impressive and the centre is attractive with nice shops and eateries. 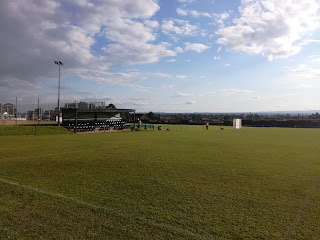 The ground itself is located on the Wrexham Road and forms part of a larger sports club incorporating cricket. The football pitch sits on a slight plateau, but the striking thing about it is the views that it offers towards Wrexham, Llangollen and Mold, with the Welsh Mountains as the backdrop, simply stunning. 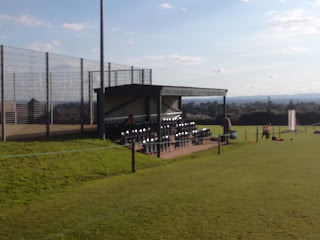 The pitch is surrounded by a post and rope, while a small stand sits just to the right of the half way line. The pitch itself was also in excellent condition despite the heavy overnight rain. 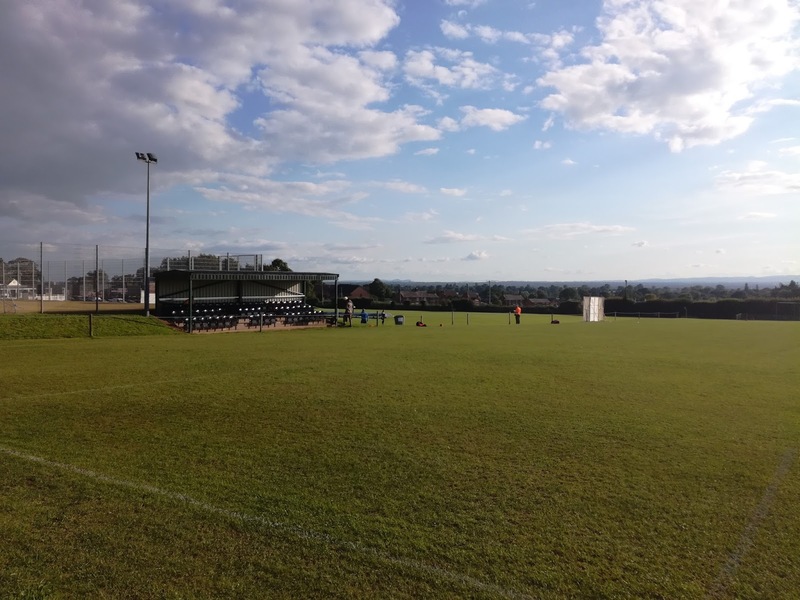 When I walked into the clubhouse I was met by Mick, I’m not sure what his role is at the club but we spent quite some time chatting about Malpas FC, it’s ambitions, the Cheshire League, the locality, all manner of things really. The nice thing was though that he was generally interested in the fact I’d travelled to watch ‘his’ club, and the welcome from him was first class, as it was from others that I was introduced to. The feel good factor was already well in place, two of the three vital boxes had been ticked, but could the third hit the mark? Crewe took an early lead but the hosts hit back quickly, and with the hugely impressive Alex Hughes leading the line, they were soon 2-1 in front. Crewe took advantage of an error and got it back to 2-2 before Stu Dickins hit a 25 yard screamer into the top corner to leave the half time score 3-2. It had been breathless and hugely entertaining. Malpas made it 4-2 just after the break and it looked to be a case of seeing the game out, but a goalkeeping error saw it go to 4-3, and then inexplicably a deep cross was handled in the box by a Malpas defender, he received a second yellow and had to go, the resultant penalty was converted, it was now 4-4! As the game moved into injury time neither side was prepared to settle for a point, but it was Crewe who had the momentum and with almost the last kick of the game they found the back of the net from close range. It was pandemonium on the visitors bench as they celebrated, but for Malpas it was hugely frustrating, and that frustration boiled over on the final whistle when a second red card was brandished for something that was seemingly said to the referee. A truly memorable game of the football, one that could have gone either way, and in the end it was a pity someone had to lose, but that’s the game we love. I was buzzing as I drove back, and even the A50 being closed at Uttoxeter could not dampen my spirits. Malpas was the final ground in the Premier Division I needed to visit, so it had been a champagne job of sorts, but in terms of the overall experience, I definitely saved the best until last. 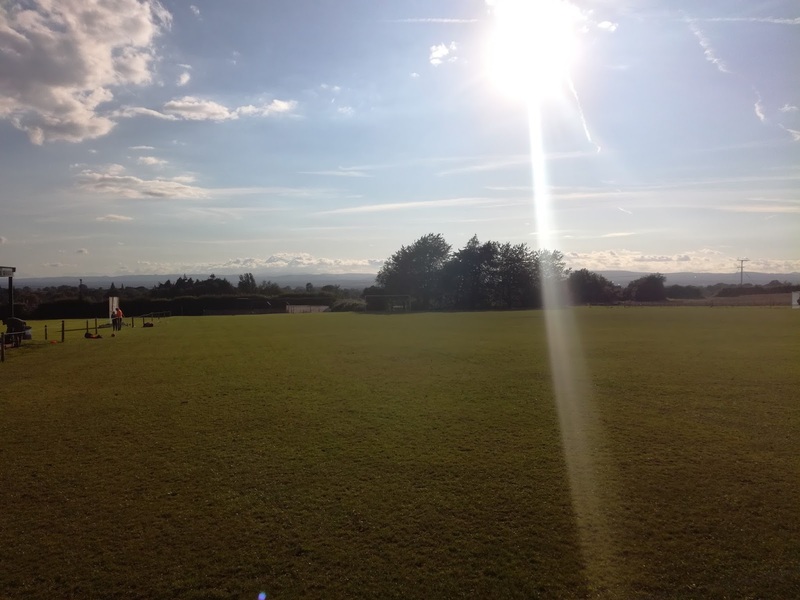 Malpas Football Club – I salute you! Me Taking The Picture - With Mick Stood Next To Me!